Time to make my titles make more sense so things are easier to find. Below you'll see pics of my Pre-Earth Jazz. Not Fall of Cybertron because it's not game accurate. Instead it's much more G1 influenced. I felt I had to get creative with the stripes. 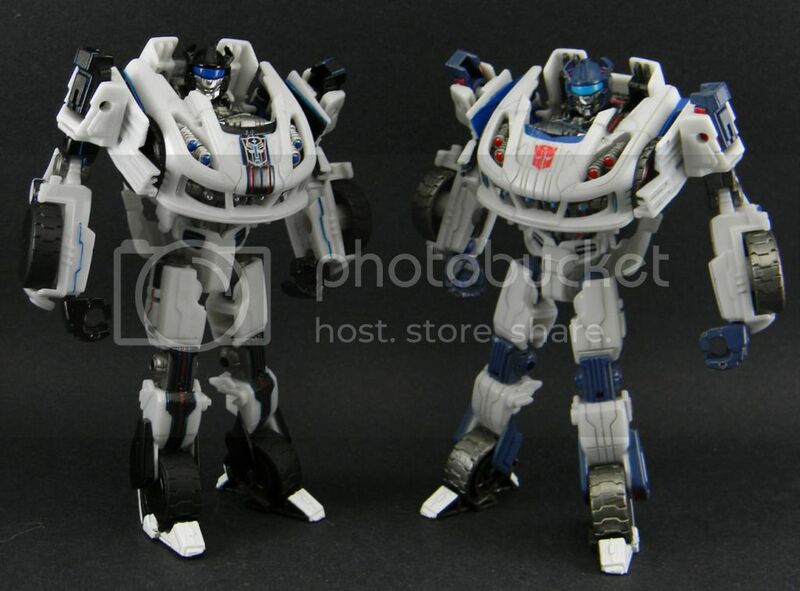 He's shown next to the previous game accurate repaint for comparison. Dude....awesome. Is that black or dark, DARK blue? So awesome! Nice work!